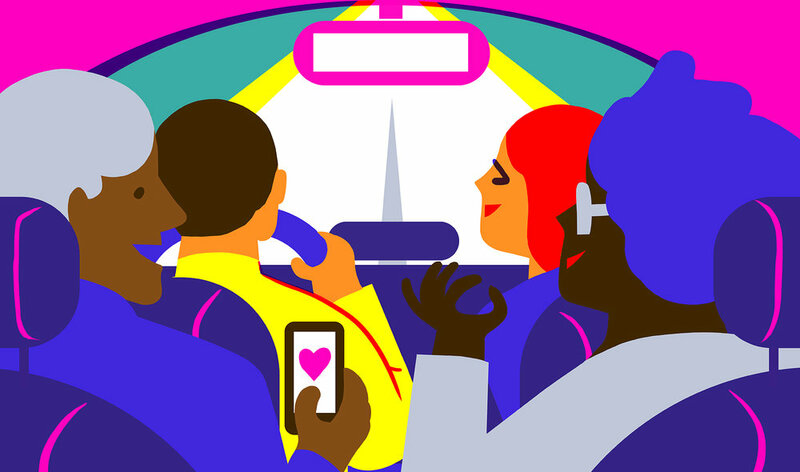 Virginie Morgand was commissioned by US car-share company Lyft to create a series of illustrations for web and print depicting a trip to the shops. Click on each image to see the next. See more of Virginie's work here.